Allison is an Academic Advisor in the Farmer School of Business. She enjoys working with students to discuss majors, select courses, and help make academic plans. 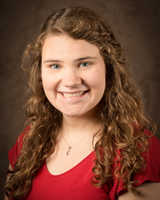 Allison completed her undergraduate degree at Miami University and is happy to have the opportunity to be back in Oxford and work with Miami University students to assist them in their educational journeys.